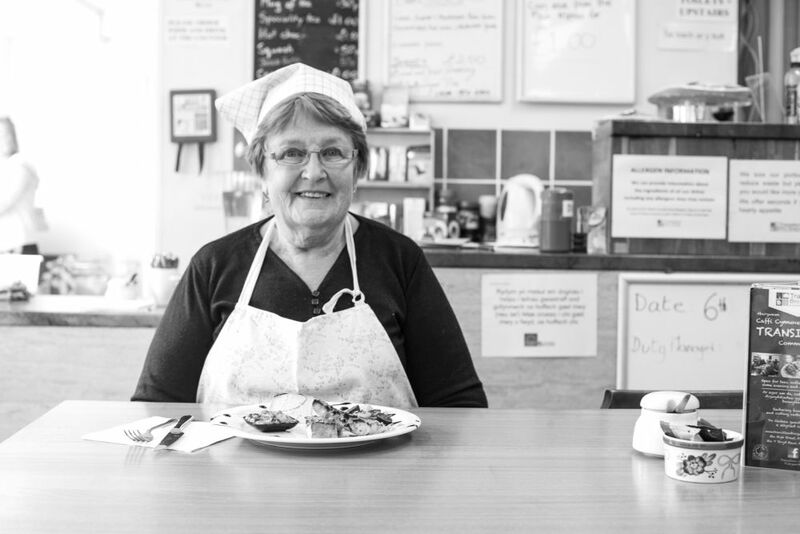 Fishguard’s Transition Cafe wins award! One of our ‘21 Stories of Transition‘, the Transition Community Cafe, is recognised with a prestigious award. 'We are happy to announce that the Transition Surplus Food Project has been selected by our expert jury as one of the winners of the REFRESH Food Waste Solution Contest! The jury was drawn to The Transition Surplus Food Project by the integrated concept, inspirational qualities and concrete action delivering quantified results. Your grassroots initiative implements food waste reduction as an integrated part of a larger sustainability concept including behaviour changes and building new community structures. The approach connects the use of surplus food from local entrepreneurs with a palette of opportunities to preserve it for human consumption, and diverting left-over food resources – where safe for animals – for production of animal feed or for anaerobic digestion. It is an innovative approach in combining social, commercial, environmental and valorisation options to reduce food waste across the supply chain, which reflects the REFRESH core objectives. Your initiative is a pioneer in the growing movement of pay-as-you-feel food waste cafes. The model has shown replicability across Europe, which convinced the jury of Transition Surplus Food Project’s realisation potential and future impact'. 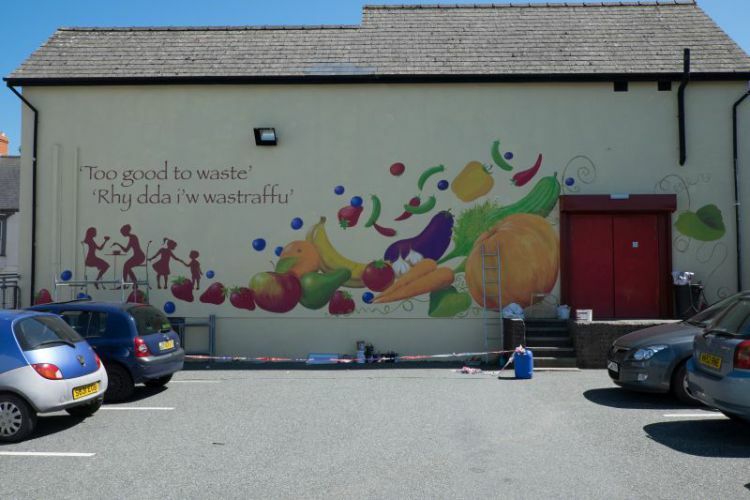 “Transition Bro Gwaun are delighted to be one of the winners of the Europe wide REFRESH Food Waste Solution contest. We are particularly pleased that the jury gave as their reason for choosing us that. ‘Your grassroots initiative implements food waste reduction as an integrated part of a larger sustainability concept including behaviour changes and building new community structures’. Since we set up Transition community cafe 4 years ago, many other surplus food projects have developed but most have food poverty as their prime purpose, so we are pleased that our key aims of carbon reduction and building community resilience have been validated and rewarded. The 11 tonnes of food we now divert each year, mostly from landfill, will have reduced costs for local retailers and the local authority by approximately £30,000 per year (based on findings from WRAP), and saved approx 28 tonnes of CO2 emissions. We also provide work experience and some employment opportunities, and we have become a community hub used by many local people and organisations. However, because food waste is often seen as a solution to food poverty, it is perhaps unsurprising that a survey TBG carried out this summer* showed that over a quarter of the people we spoke to in our locality still saw us as primarily a service for poor people, and that some choose not to use us because of the stigma associated with food poverty. Our aim is to encourage more environmentally concerned and mainstream organisations to make use of the surplus food that supermarkets and stores are now keen to distribute, so that eating at a project where surplus food is promoted will no longer be seen as only for the poor or, at best, an unusual, rather quirky experience. We would also expect this to help address the misconceptions and negative attitudes often associated with ‘out of date’ food and to impact on reducing the amount of waste from people’s homes. (At present this is over 50% of the UK’s total food waste). As attitudes change, reducing food waste will be seen as a safe, sensible and cost effective way for us all to play our part in conserving valuable resources and reducing carbon emissions. And finally, it would be great to enthuse young entrepreneurs, so that they see the potential in some of the excess food that is thrown away every day and use it to set up social enterprises that will create a livelihood for themselves, employment for others and a sustainable resource for their community. Our project can only begin this process, but – with the help of this award – from little acorns, big oak trees grow. Transition Community Café, Fishguard, Wales. 21 Stories of Transition: reviewed by Emma Postill at Permaculture Magazine.